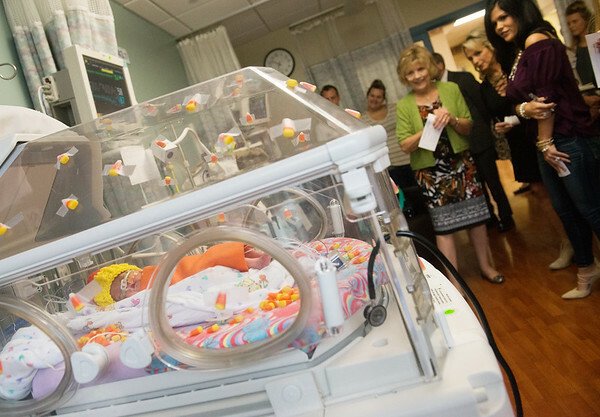 Judges tour the Freeman NICU on Thursday, viewing Aubree Huckabee's candy corn costume, and other babies dressed for Halloween. The annual event at Freeman is sponsored by the Children's Miracle Network. All babies received treats from the organization, and Huckabee won a special prize for Judge's Choice.